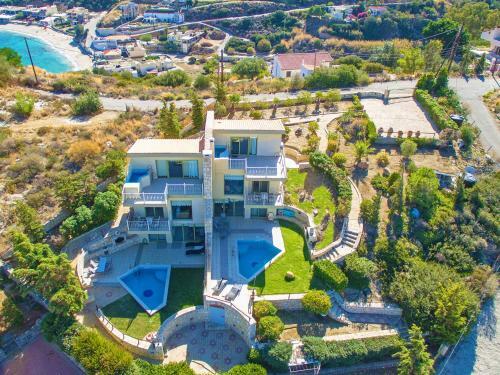 Hyperion Villas is located in Agia Pelagia, Heraklion Region. Hyperion Villas common facilities include bbq	and outdoor pool. The property accommodates visitors in villa and other might be available upon request. The rooms offer sea view and pool view. Room amenities include air-conditioning, heating, tv, satellite channels, fridge, etc. Each unit has own bathroom with hairdryer. Free WiFi is available in public areas of the villa. Free parking is available at the villa.